As a Millennial, I hear the whispers in the dark surrounding me. Millenials are lazy, burdened by debt, and they’re killing cable and brick-and-mortar stores. They’d rather have craft beer and avocado toast than a house, and they’re always staring at a screen. But by definition, they are the generation that first grew up with technology. Born between 1981 and 1996, Millennials spent most of their formative years surrounded by gaming consoles and computers. We remember our first Gameboy and our late hours playing The Sims on the family’s first computer. Fast-forward to today, Millenials are in a tough spot with low employment levels, crushing student debt, and rising costs in healthcare. Millenials reject the notions of yesteryear in favor of cost-effective and progressive solutions. 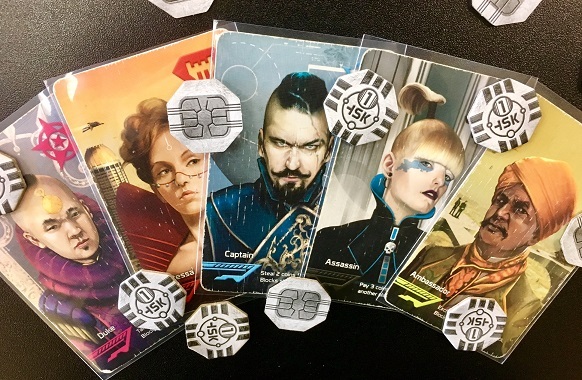 So what draws a Millenials into tabletop gaming? Millenials are not swapping screen time for face-to-face fun. They’re not ditching their phones to play a round of Clank in Space. Odds are, their Twitter feed and Snapchat followers are going to know they’re playing. Games like Werewolf require a mobile app to play, and I know too many people with their character sheets and spell lists tucked on their laptops. Millenials want to escape into alternate worlds, beyond their student loans and tiny apartments. They have an affinity for nostalgia and cost-effective entertainment. The line demarcating a nerd of the 70s and 80s – pushing up his glasses and rolling a D20 – is dead. Millenials grew up alongside Harry Potter, and they watched The Lord of the Rings and Star Wars in theaters. Today, Game of Thrones is one of the most popular TV shows in history, and Marvel is knocking comic book movies out fo the park. Fantasy is no longer reserved for nerds, and Millennials are soaking themselves in these worlds away from life’s burdens. A lot of Millenials have fond memories of spending time with a friend or sibling while they play A Link to the Past on their Super Nintendos. Though Millennials have grown up on video games, they have changed drastically within the last decade. Companies are doing what they can to milk every penny out of each game. Between additional downloadable content (DLC), subscriptions, and paid loot boxes, playing video games is expensive. On top of that, to play with other people, they also need to purchase a copy of the game. Though a board game and a console game can both run around $50, only one person needs to buy it for a group to enjoy. They are easy to pick up and play with your friends or even your grandparents. Millennials can’t afford big purchases like houses, so they use their money for experiences rather than things. That means delicious food, enjoyable company, and entertainment. 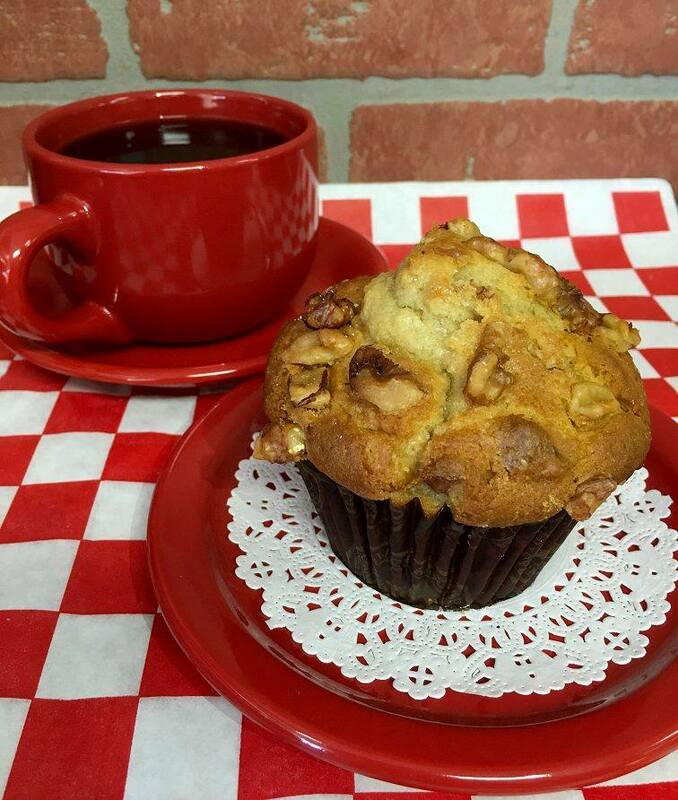 Places like The Game Table Cafe offer all these things at affordable prices. 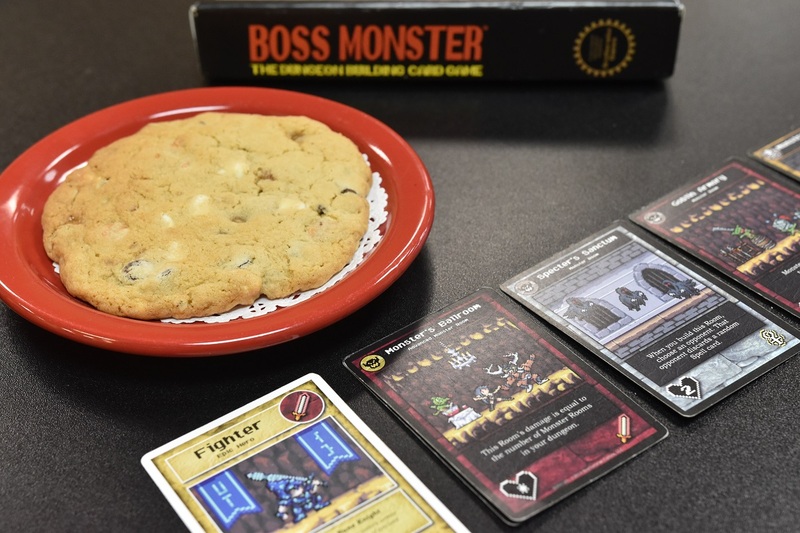 From strategy, card games, roll-and-move, and cooperative, there’s a tabletop game for every taste. And you can jump from Settlers of Catan to Monopoly to something weird like Exploding Kittens. The options are endless, and so is the fun. Lucian Huang, at your service. I am but a humble servant of Deneir on my own quest from my late master. I found refuge in the city of Orm in this treacherous land of Agasteel. Journeying with me are two rangers, a bard, and two druids. A farmer to the north needed our help dispatching a giant wolf that made a meal of his flock. After getting our mission, we followed the tracks to a cave. Inside, a glowing pair of red eyes greeted us and out stepped a wolf twice the size of a cow. We knew this was not a normal wolf. And while he growled at us, we had to make a decision on what to do. Do we rush in an attack? Use the druid to talk to him? Look around for anything useful? Run away? 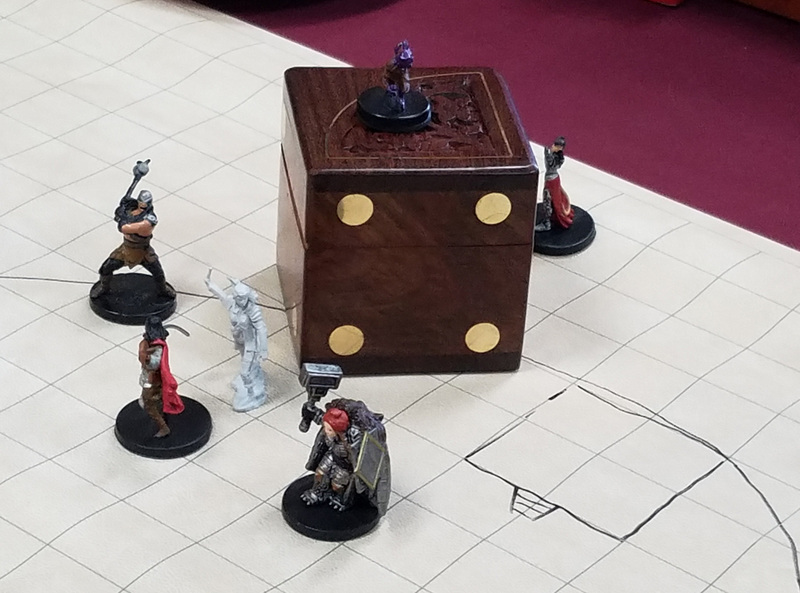 These kinds of decisions make Dungeons and Dragons an exercise in creativity, problem-solving, and teamwork. Studies have long been pointing to the benefits of continual learning through a person’s life. From delaying cognitive decline and improving memory, life-long learning keeps your brain active. Before the game even begins, it requires learning the game, reading about your characters, and a bit of research into the possible combinations of skills, abilities, armors, and weapons. It may seem a bit overwhelming, but a good Dungeon Master, or game host, will guide you in your comfort level. 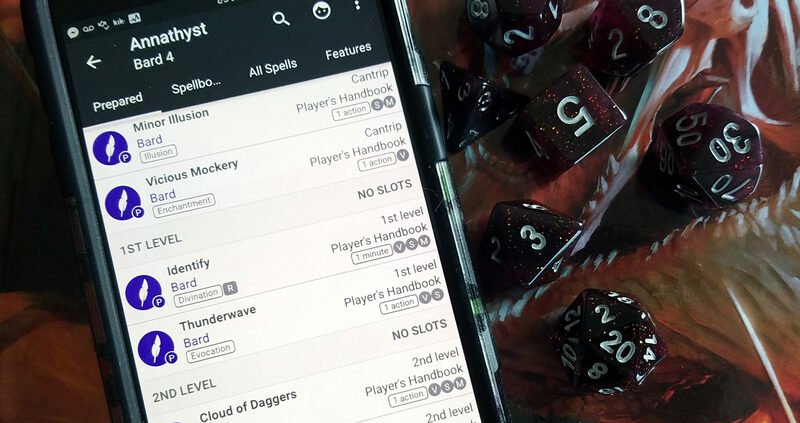 You can settle with a pre-made character (drafted by your DM), pick the recommended configurations from the book, or create a combination all your own. For those who love Dungeons and Dragons and want to dive deeper into the game, there are innumerable styles of play, lore, and nearly two-dozen official books to widen your horizon. Or you may go so far as learning to be a DM yourself. We used someone’s dice case for our cart. Creativity alone has many benefits which is good news for a game centered on designing your own story. To start with, creating your character involves much more than numbers on a page. What do they look like? What’s their backstory? What are the mannerisms that define them? Everyone is capable of creativity. It’s freeing, stress relieving and promotes self-awareness and self-expression. When you play, get into character if you want to. Speak like them and make choices based on what they would choose, not you. I had a Cleric character named Laucian. He was very devout and saw all beings as innocent until otherwise proven. On behalf of Laucian, I refused to fight in instances involving animals and I ran headlong (stupidly) into battles against known enemies. Creativity also boosts problem-solving capabilities. In D&D, you build your own story. How will you face obstacles? What’s the solution to the puzzle lock on the ancient temple? How will you get information from the barkeep? 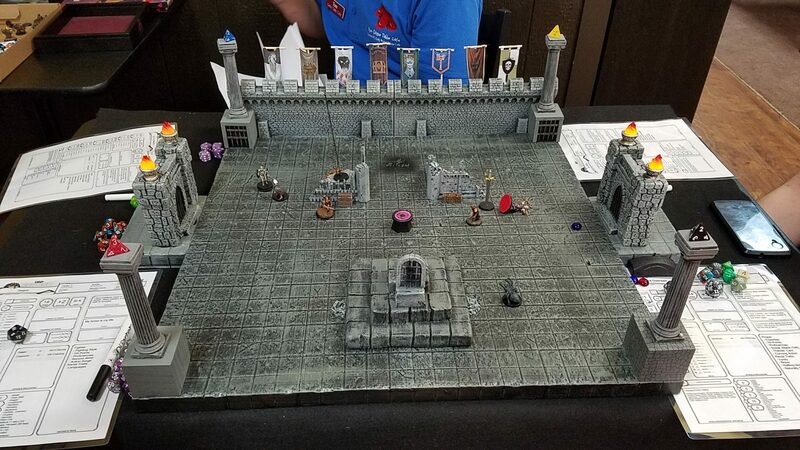 A DM friend of mine played the same campaign for two different groups. In the campaign, we had to rescue captives in a large goblin and ogre camp. My group used a combination of spells between multiple people to project a symbol of their deity in the sky and use a thunderous voice to mimic him. Basically, we incited a goblin riot against the Ogres and snuck people out during the fighting. The other group made a giant construct to scare them out of the camp. Either way, we both succeeded in our objectives. There are no multiple-choice questions in D&D, and as long as it’s within the rules, you can approach any task in whatever way you wish. Sometimes, the most creative solutions are the most fun and make for great stories long after the game is over. 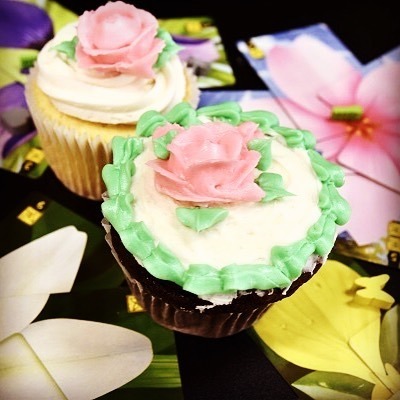 Forget those Escape the Room games for your company Team Building days. The time limits and pressure to be puzzle wizards don’t exist in Dungeons & Dragons. What does exist is working together to dispatch foes or navigate an abandoned mine. As I mentioned from the example above, it took all of us to put on that light and sound show to free those captives. And it will take your whole team to figure out how to cross a rickety bridge when half of you are wearing heavy plate armor. Have an idea? Speak up. Make decisions together. Lone wolves will get themselves killed. And for heaven-sake, never split the party! Often a bad roll or a bad decision can make situations dire. I was in a group during that rickety bridge scenario. A plate-wearing dwarf tied herself to a team-mate. Neither expected the dwarf to fall and sink to the bottom like a stone. And as physics would dictate, the teammate was ripped from the bridge thanks to her tether. It took quick thinking and a lot of rope to get them to safety. 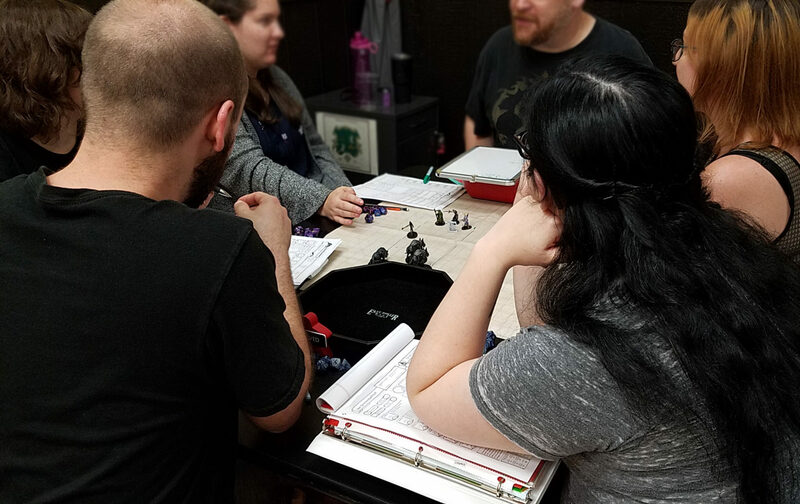 Table-top role-playing games like Dungeons and Dragons promote creativity, learning, working together, problem-solving, and communication. These elements are great for the brain and important to life. 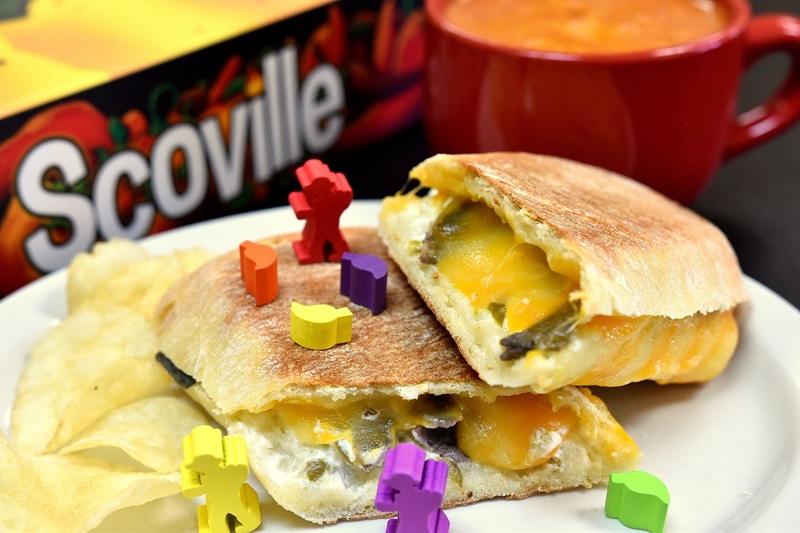 Grab a group of co-workers, friends, or meet some new people and settle down for a game. 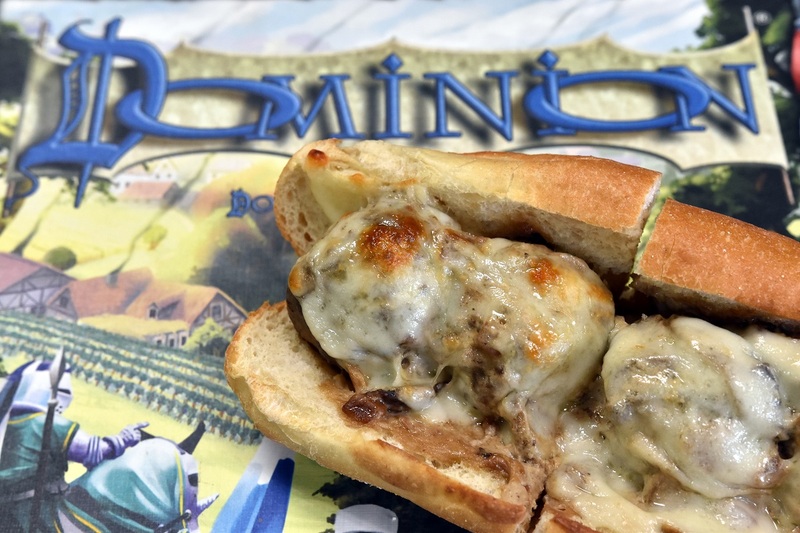 Unlike other team building and “get to know you games,” you can drink coffee and eat delicious food while you bond over how you’re going in infiltrate the enemy base. In recent years, the popularity of board games has skyrocketed. 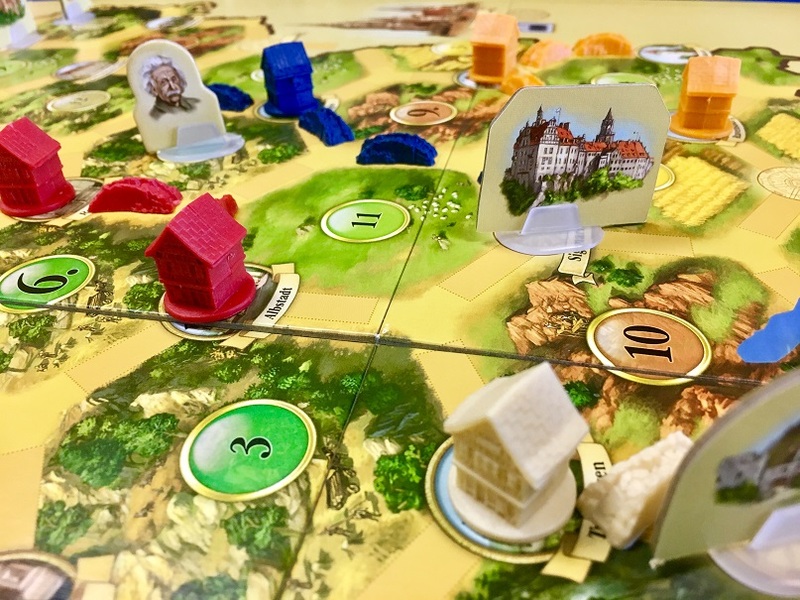 Of course games like Monopoly and Life have been around for a while (and I’m sure they aren’t going anywhere anytime soon), but within the last five years or so, board games have had new life breathed into them with an influx of Euro Style games like Settlers of Catan. Why have board games become so popular? There is a growing desire to interact and socialize with family and friends without screens getting in the way. Board games are the perfect way to do that because you have to be present if you don’t want to lose. Also, board games are just plain fun! 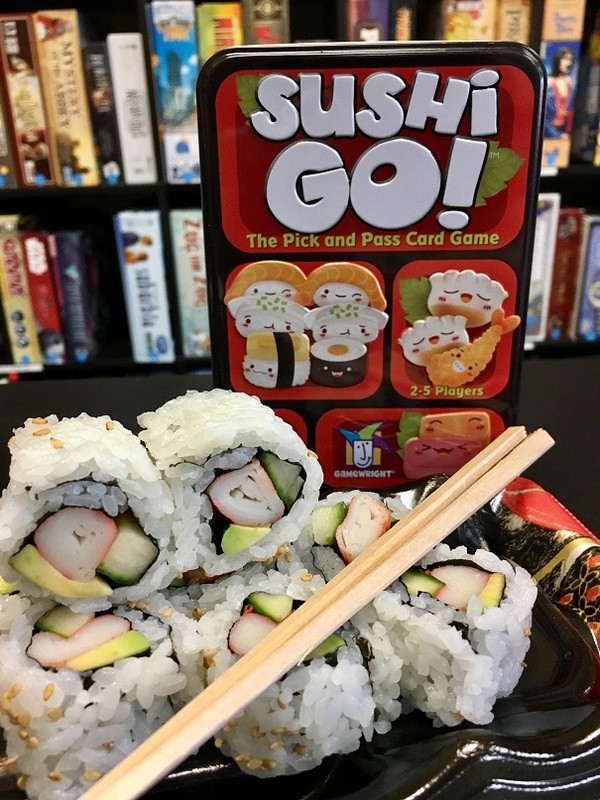 Board games are a great form of entertainment and just like there is a TV show for everyone, there is a board game for everyone. So why am I telling you all of this? 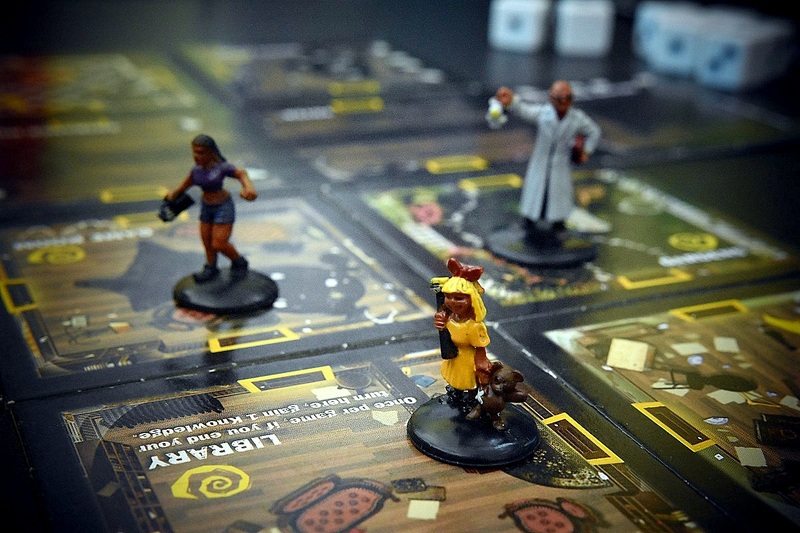 Basically, if you haven’t already hopped on the board game bandwagon, you really ought to. Did you know that there are actually quite a few health benefits associated with playing board games? Yes, that’s right! 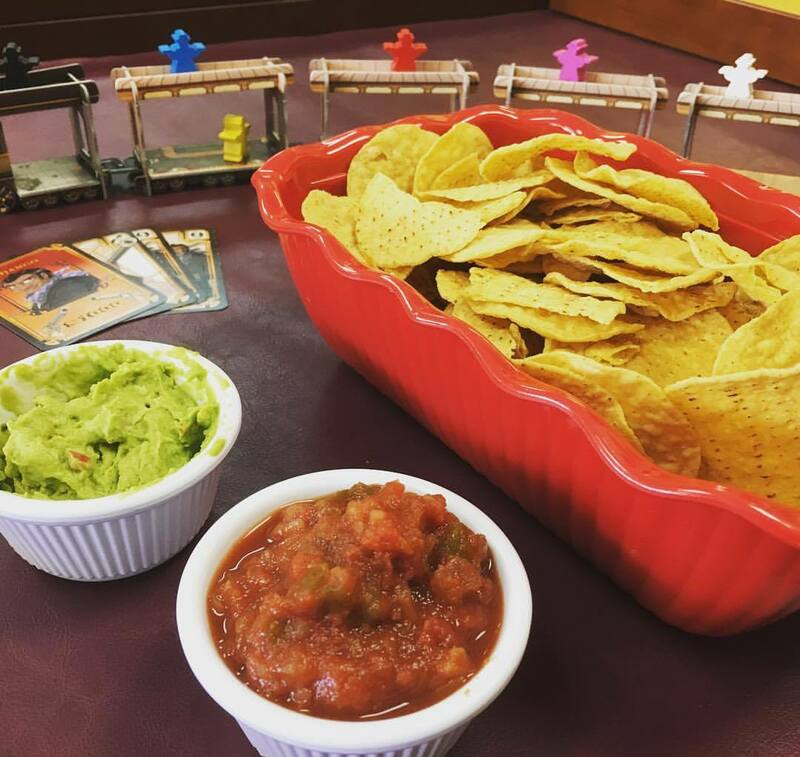 Playing board games is not only fun, but healthy! This may seem counter-intuitive if you’re playing with a bunch of really competitive people, but it’s true. One of the best ways to develop trust and intimacy with another human being is to share laughter and fun. Having a regular game night with your loved ones can be a great way to strengthen your bond with them. I try to get my family together semi-regularly for a board game night and while arguments do break out sometimes, we’re all usually ready for the next game night shortly after. In addition to strengthening your existing relationships, board games can help create new friendships. We’ve seen plenty of complete strangers become good friends with a little help from gaming. Remember what I said about no screens getting in the way? Exactly! I’m sure we’ve all heard those accusations that young people don’t know how to socialize because of modern technology. Play more board games with them! Additionally, not all board games are competitive. There are plenty of cooperative board games like Pandemic or Castle Panic that can be great for team-building and teaching cooperation. 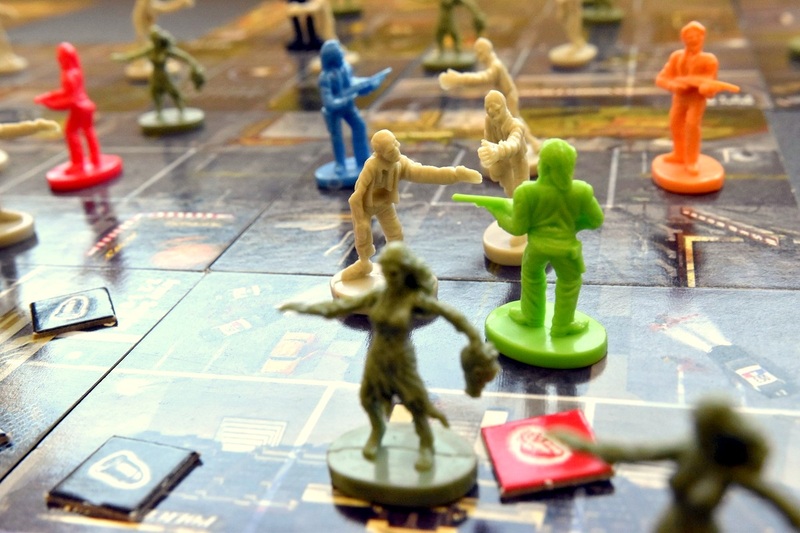 Playing board games can also help ease social anxiety. We’ve had a lot of regular customers tell us that they’ve been able to overcome crippling social anxiety when they’re playing board games with others. They say that laughter is the best medicine, so it logically follows that playing board games may be the best medicine too, right? Maybe that’s leaping to conclusions, but science does show that laughter is good for us. Laughter releases endorphins, the “feel-good” chemical in our brains. These are the same chemicals that are released after physical activity like exercise or a physical contact with another person. These “feel-good” chemicals not only make us happier, they also make us more tolerant of pain. To induce laughter why not start a game of Coup or Cash ‘n Guns? All of this quality time with the people you love most and the release of all of those endorphins will hopefully lead to reduced stress. In fact, according to a study from RealNetworks Inc., 64 percent of those surveyed said they played games to relax while 53 percent said they played games for stress relief. If you’ve had a hard day at work, perhaps a quick game might be the perfect way to de-stress. In addition to reducing stress, endorphins can be helpful in lowering blood pressure. It is believed that endorphins help to relax the muscles, thus allowing blood to flow easier, which is likely to lower blood pressure. 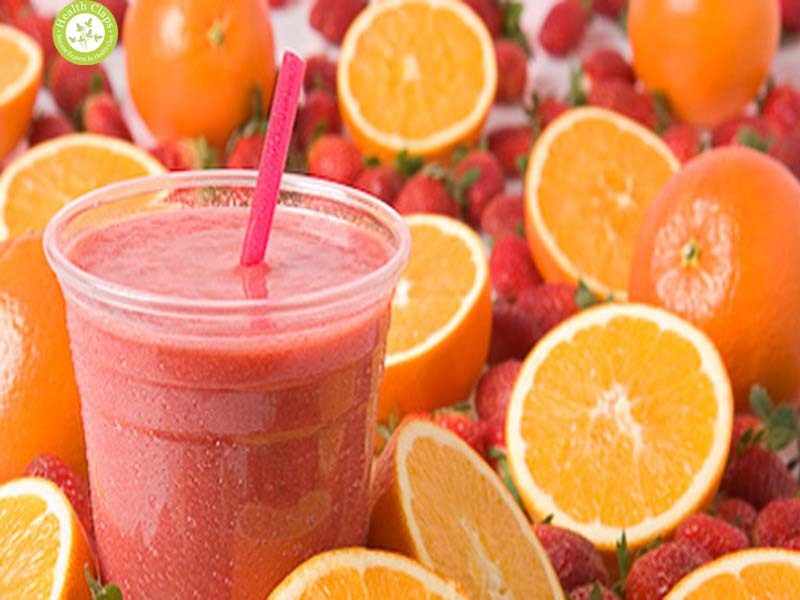 This, of course, will help lower the risks of problems associated with high blood pressure like heart disease. With all of the above benefits, it naturally follows that board games could be used as a type of therapy. Board games can help increase motor skills and basic functioning for those who are mentally or physically disabled. 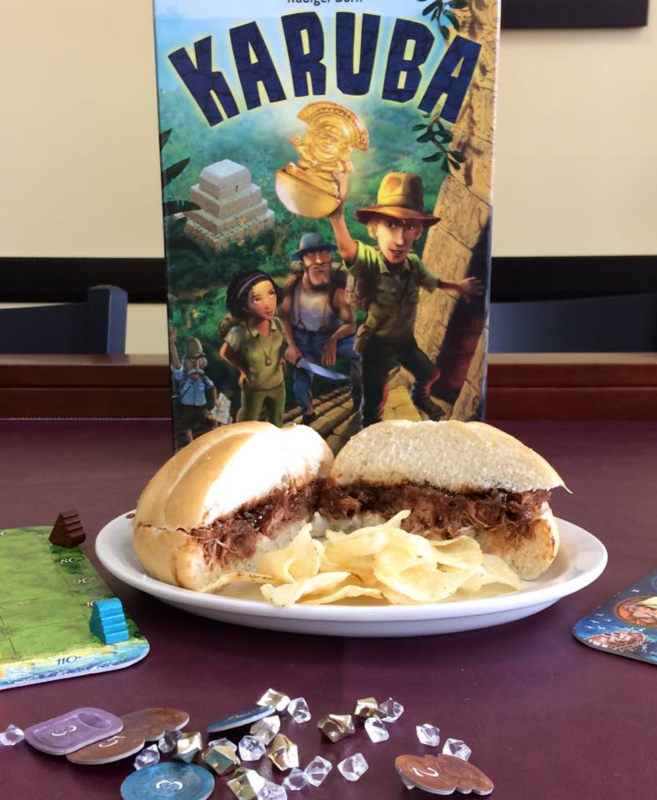 Just check out what The Bodhana Group does using tabletop gaming to help kids! If you want to win, you’ll need to set goals and then be patient as you work to achieve them. Most modern games require a lot of strategy. Almost every turn you need to reassess the situation and maybe even adapt your goals and ultimately your strategies depending on what other players have done since your last turn. This can especially be a great benefit for children (of course you may want to use Catan Junior instead of regular Catan in this case), but I’m sure we all know adults who could use a lesson in patience as well. There are a lot of board games that require you to build or create something (like Junk Art or Kingdomino) and even board games that require you to use your imagination (like Once Upon a Time or Mysterium). Even putting together a deck for Magic: the Gathering requires a bit of creativity. 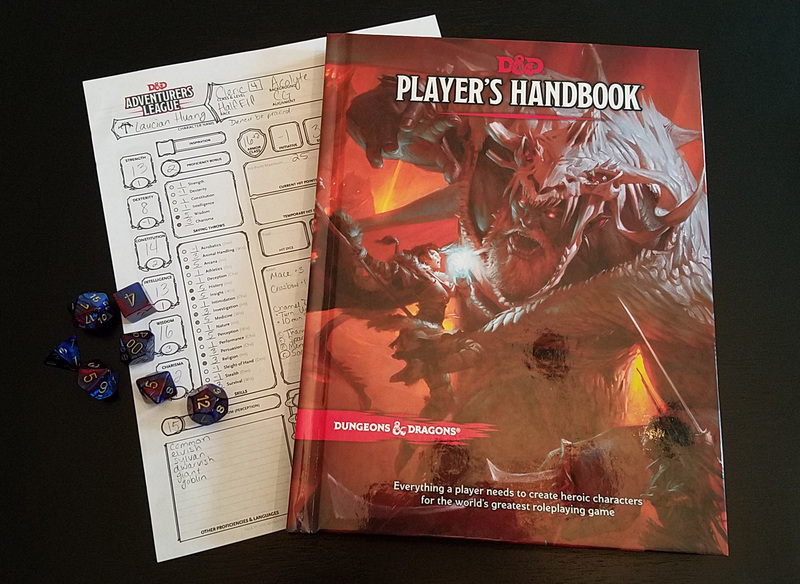 If you’re into role-playing games, Dungeons and Dragons can be one of the most creative games in which players need to put themselves into the shoes of their characters as they play through the game. Getting in touch with your creative side can help bolster your sense of individuality which in turn can boost your self-esteem. I’m sure we all know the stereotype that people who play Chess are smart and nerdy, right? Well, there might be a little truth to this stereotype because playing Chess has been proven to improve test scores of middle-schoolers with learning disabilities. Of course different games will involve different skills depending on what the ultimate goal is, but for the most part, board games challenge your problem-solving and decision-making abilities. Each game you play will encourage you to strategize and make calculated decisions to get you closer to winning. 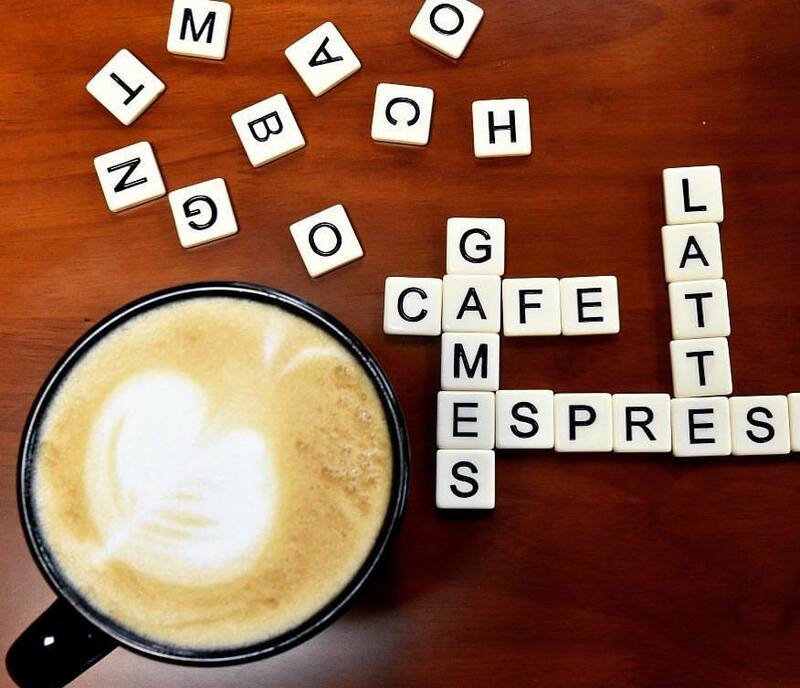 Some studies have even shown that board games increase your focus and speed up your response time. 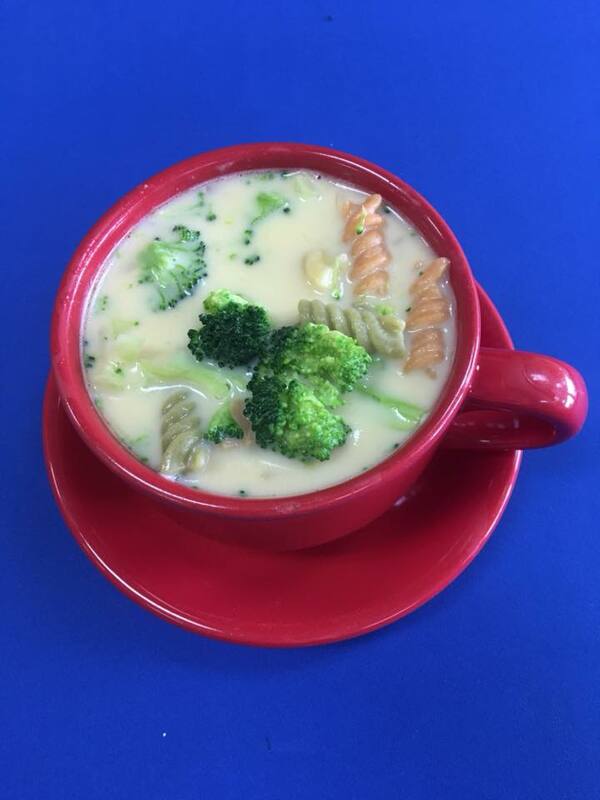 Because of your increased brain function, you will be at lower risk for dementia and Alzheimer’s when you grow older. I’m sure you’ve heard of the studies that show that solving puzzles like crosswords or Sudoku help lower these risks as well, but have you seen this study from The New England Journal of Medicine on board games? In it, 469 people aged 75 and older were asked to list what activities they did in their free time. Ultimately, 124 of them developed dementia, but the study showed that those who listed gaming as one of their activities were less likely to develop dementia. Love Catan? 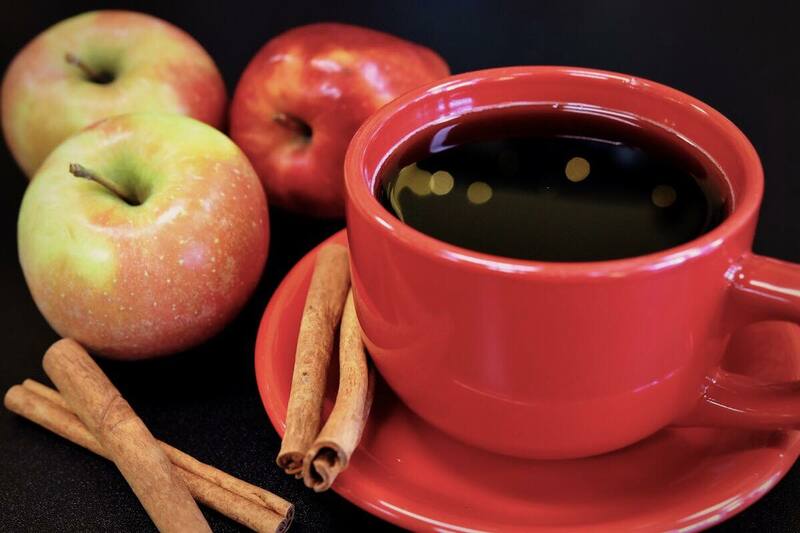 Here are Five Other Versions to Check Out! 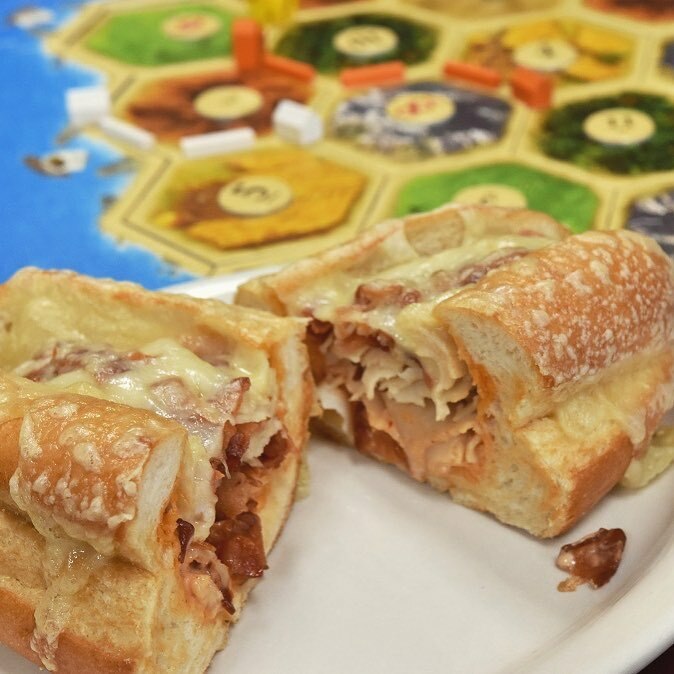 Even if you aren’t a gamer, chances are you may have at least played Catan. It is simple to play with a decent amount of strategy, making it a game that can be enjoyed by anyone. It is the perfect game for players new to the hobby, casual gamers, and even a classic for more seasoned players to keep coming back to. 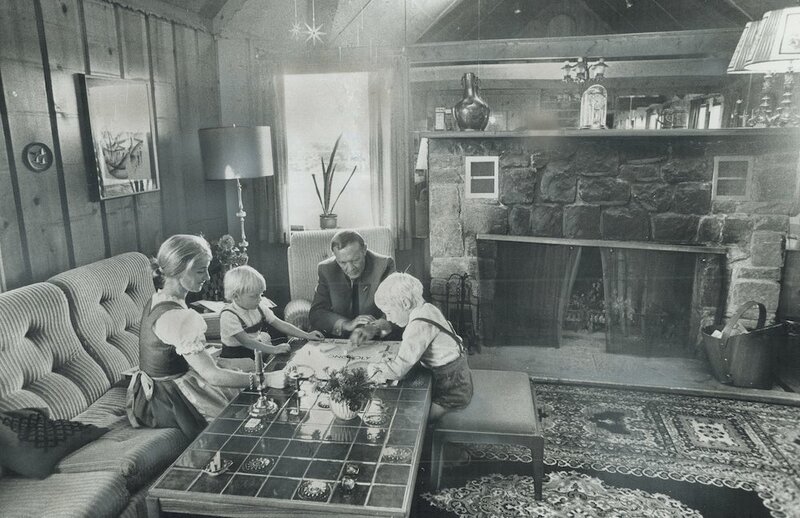 Catan was first published in Germany in 1995 by Klaus Teuber. By 2015 nearly 20 million copies had been sold in 30 different languages. If you haven’t played the original Catan, I would definitely recommend pulling that off our shelf the next time you are in. On the other hand, if you’re a self-proclaimed Catan expert, perhaps it is time to graduate to one of the many other versions. Here are some of the Catans we have available right now. 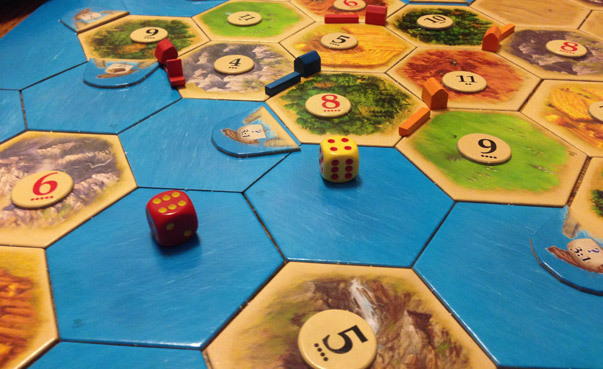 Seafarers introduces sailing to the world of Catan. Now, settlers can travel across the sea to build new settlements on nearby islands. This expansion adds several variant setups that include a lot of water tiles in addition to the familiar resource tiles. Each setup includes some new rules and slight variations on game play. Seafarers also adds ships, which are a lot like roads, and a pirate, who acts like the robber. Otherwise, the mechanics are the same, but the win condition will vary for each setup. If you’re looking to add just a little bit to your regular game of Catan, check out this expansion! Like Seafarers, Traders and Barbarians is an expansion that you can use with the base game, but it is slightly different in that it is a compilation of small expansions and variants in one box. 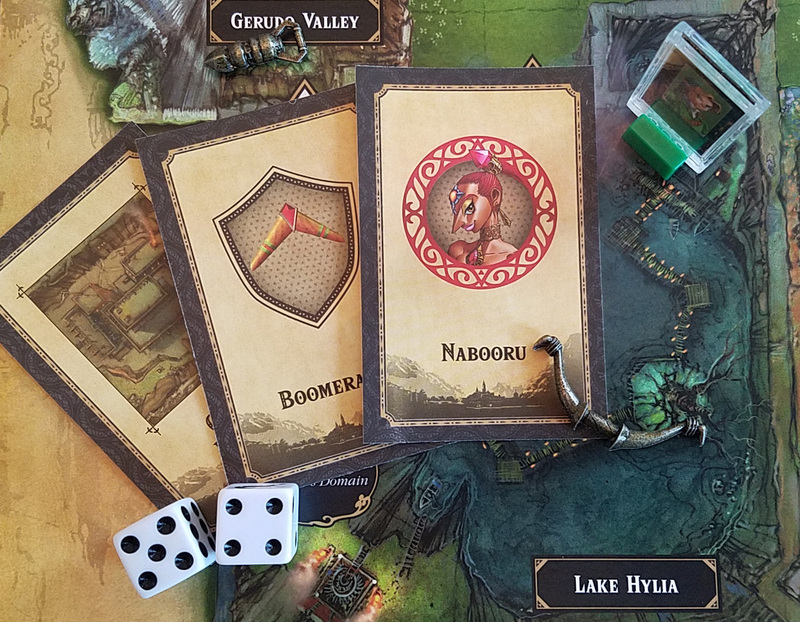 It comes with several different scenarios that you can play including The Fishermen of Catan, The Rivers of Catan, The Great Caravan, Barbarian Invasion, and the titular Traders and Barbarians. In addition there are a few minor variants included as well. Merchants of Europe is part of the histories series of Catan. 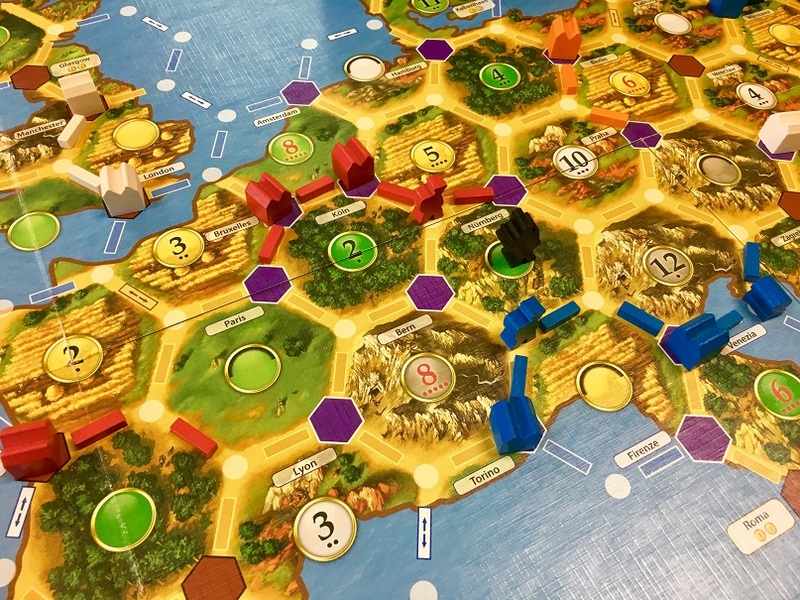 This version uses a real-world map of Europe for the board that has been divided into the familiar hexagons of Catan. Players are no longer settlers in a new land, but instead are merchants trying to establish trade routes and deliver their commodities across the continent. In order to do this, players will need to set up trading posts to gather more commodities to sell. There are no victory points in this version, either. Instead, you’ll want to be the first player to deliver all of your commodities. If you are looking for a Catan that is a little more strategy-intensive, definitely check this one out. This version of Catan was made for the sixtieth anniversary of the merging of three German states into one. For the most part, it is a lot like other versions of Catan with a few differences. For one, the board set in stone so the set-up of the game is always going to be the same. Second, the robber is now an inventor. 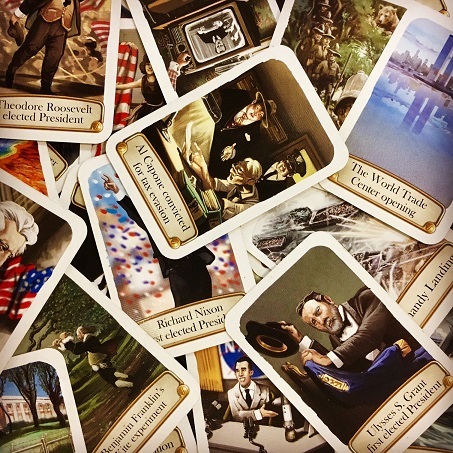 Why inventors are going around stealing resources from people, I’m not entirely sure, but the Inventor development cards are pretty cool in that each one depicts a different inventor and what their most famous invention is. Another new element is the landmarks. Instead of upgrading your settlements to cities, you can build landmarks. These are actual landmarks found in this region of Germany like Heidelberg Castle. John and I picked this Catan up in a board game store in Germany. When we brought it up to the register the man gave us an odd look before saying, “this is Baden-Wurttemburg Catan, yes?” Because why would two English-speaking Americans want a German Catan? But we knew what we were doing when we brought it up to the register; a German Catan is the perfect souvenir for two board game nerds. This is a Catan that I am certainly looking forward to playing, but with the $80 price tag I know I probably won’t be buying it anytime soon. 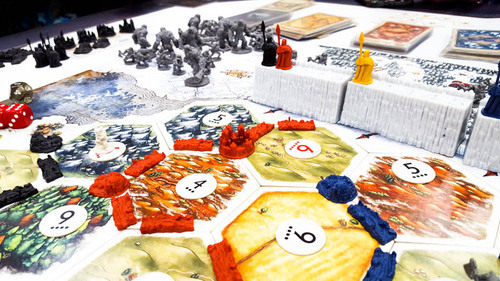 This Catan is set in the world of Game of Thrones at the wall that protects Westeros from the Wildlings of the north. The Brothers of the Night’s Watch are seeking a new leader and if you want to claim that position, you’ll need to use your resources to strengthen the infrastructure of the Gift, the underdeveloped area south of the Wall. The general idea remains the same as other Catans. You will still be building roads and settlements to be the first to gain ten victory points to win, but this Catan adds an extra element of danger with occasional Wildling attacks. In addition to the roads and settlements, you’ll also need to post guards at the Wall to keep it safe from the attacks. Also, each player will control a member of the Night’s Watch. Each of these characters has a special ability that can be used twice during the game. If you can’t wait for the eighth and final season of Game of Thrones to premiere next year, definitely check this game out to get your Westeros fix! There are less than two weeks until Halloween so that means we’re playing a lot of horror-themed games! There are a lot of scary board games out there, but these are some of our favorites that we have in our library. All of these games will be featured at our Halloween Party on Saturday, October 28th so come out to play some of them! If you’re looking for a game full of horror and frights, then enter the haunted house on the hill… if you dare. Players will venture into this chilling mansion to uncover what mysteries lie within. As you explore the house and discover new rooms, you will encounter a variety of strange things. The game starts out fully cooperative, but eventually, during your exploration, one of your companions (or maybe it will be you!) will turn traitor and unleash an unspeakable evil upon the house. The rest of the game becomes a fight for survival as you try to either destroy the evil force threatening the house or you are the evil force trying to kill the rest of your companions. It’s rather fitting that one of my favorite games is perfect for one of my favorite times of the year. I talked about Betrayal at House on the Hill before in last year’s Halloween post. I love Betrayal because of the excellent replay value; with 52 different scenarios, chances are rare that you’ll play the same one twice. There is also an expansion with 52 additional scenarios that you can add to your game. Looking for more Betrayal? 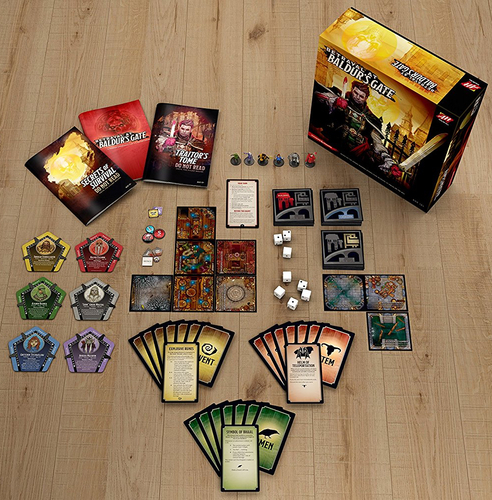 This year Avalon Hill teamed up with Wizards of the Coast to bring us Betrayal at Baldur’s Gate, a game combining classic Betrayal with Dungeons and Dragons. As of writing this I haven’t played it, but I’m definitely looking forward to it! Dead of Winter and Zombies!!! 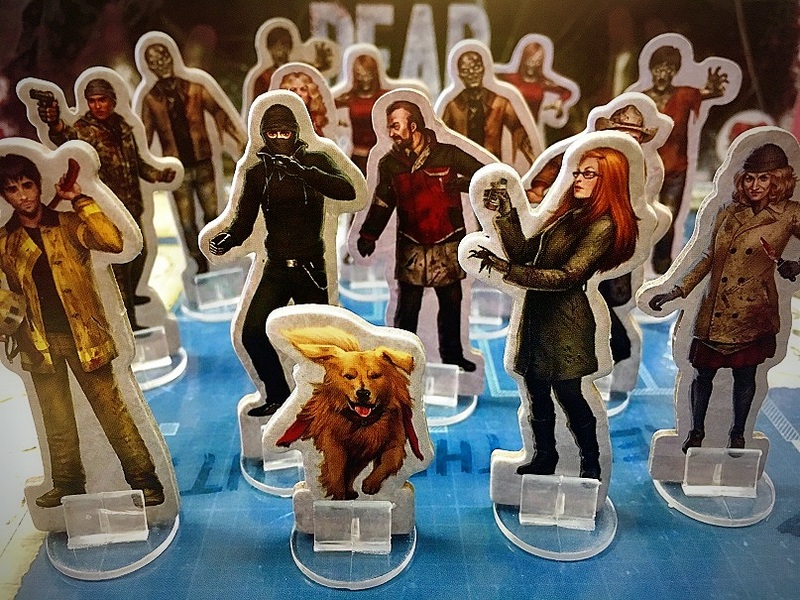 If you like zombies, you’ll like the next two games, Dead of Winter and Zombies. In Dead of Winter, players are trying to survive the winter in a post-apocalyptic world full of zombies. Dead of Winter is cooperative so you will be working together to gather supplies, fight off zombies, and survive. There is also a story element that comes into play with certain cards. Each player also has a secret objective that they are trying to complete in addition to the main objective. This secret objective could cause you to make tough choices between what is best for the colony and what is best for yourself or it could even make you a traitor as you try to sabotage the rest of the colony! If you’re looking for a more in-depth zombie game, definitely check this one out. Where Dead of Winter is more about survival, Zombies!!! is mostly fighting zombies head on. In Zombies!!! players lay out tiles to create a town that you will be moving through. In the bottom half of the tile stack is a Helipad that you can use to escape town (after killing all of the zombies on the tile). If you do this, you win, or you can be the first to kill 25 zombies. Unlike Dead of Winter, the only two resources you need to worry about are your bullets and your health and, if you do happen to die, you “respawn” with only half of your previously collected zombies. This game is not designed to be cooperative (although you could theoretically play it that way), meaning that you have to use your cards and move zombies around strategically to try and hurt other players. But, of course, you also don’t want them to kill 25 zombies and win before you do. If you would prefer to just shoot a bunch of zombies instead of dealing with the intricacies of the rest of your colony, this may be the zombie game for you. 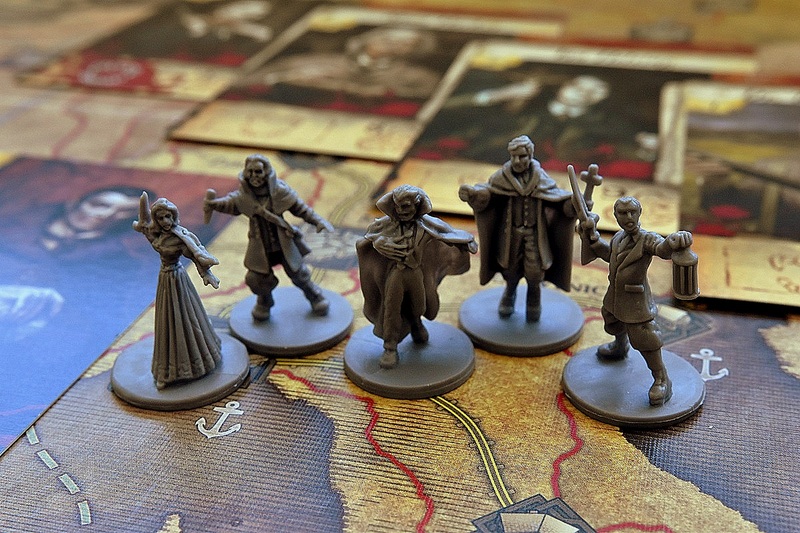 Fury of Dracula is a one vs everyone else game where one person is playing Dracula while other players take on the roles of the characters (like Van Helsing and Mina Harker) trying to hunt him. Dracula moves around Europe in secret, creating other vampires and wreaking havoc in different cities across the continent. The hunters search for him as they travel across Europe, trying to follow his trail of devastation. If one or more hunters are in the same city as him, they fight. Dracula wins when he spreads enough of his influence across Europe and the hunters win when they cause 15 damage to Dracula, thus defeating him and ending his reign of terror. I have only played this game once, and we were still trying to figure out how everything worked so I would definitely like to play it again. If you like the one vs many format in games like Betrayal or Letters from Whitechapel, this is another good one to try! Mysterium is a game I only recently learned to play and I love it! 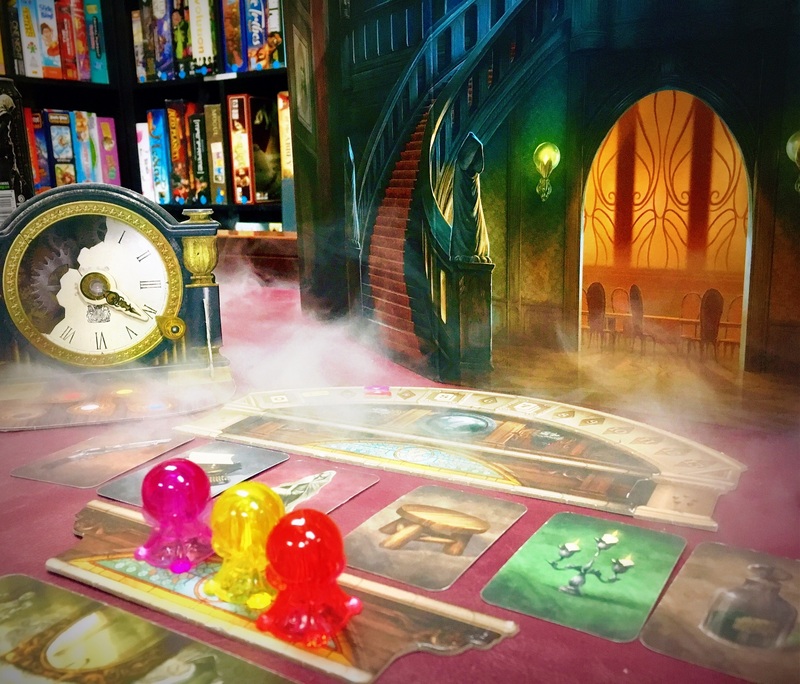 Mysterium is a cooperative game in which one person plays as a ghost and the others play as psychics. The ghost is trying to communicate the circumstances of its violent murder to the psychics on Halloween night when the when the link between worlds is strongest. However, you only have seven hours to solve the murder and the ghost can only communicate in vague, abstract visions that the psychics need to correctly interpret. If the psychics can solve the murder, you all win! If you can’t solve the murder, the ghost will not be able to rest peacefully and you lose. Mysterium is one of those games that you’ll want to play over and over again. I recently learned to play it with a few of my coworkers and we played it four times in a row to make sure everyone had the chance to be the ghost (and I’ve noticed our customers do this as well). 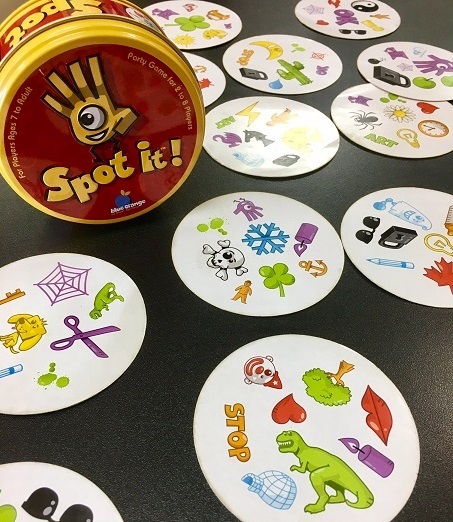 It’s a great game for groups looking for something fun and cooperative. If you like party games like The Resistance or Mafia, then One Night Ultimate Werewolf is another game you should check out. Every player is given a secret role with anywhere from 0-2 players being werewolves. Each game takes place over one night. Every night, everyone goes to sleep and an announcer (or the free app!) calls each role to wake up and perform an action before going back to sleep. Once all roles have done their actions, everyone wakes up and you get only a few minutes to deliberate and decide who you think the werewolves are and choose someone to lynch. The catch is that your role may have gotten changed overnight so you may have started as a villager, but become a werewolf by the end of the game and you have no way of knowing that until each player discusses what cards they switched or peeked at over the course of the night. The villagers win if they kill at least one werewolf (or if there were no werewolves and no one is killed). The werewolves win if there is at least one werewolf and no werewolves were killed. 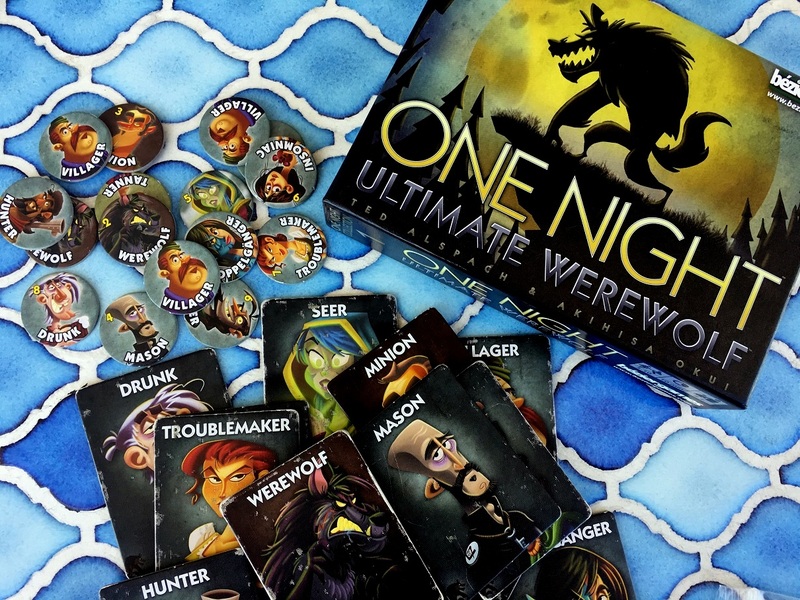 One Night Ultimate Werewolf is fast, fun, and engaging, so you’ll want to keep playing again and again. This last game is probably geared more towards younger players, but adults can certainly have fun with it too. 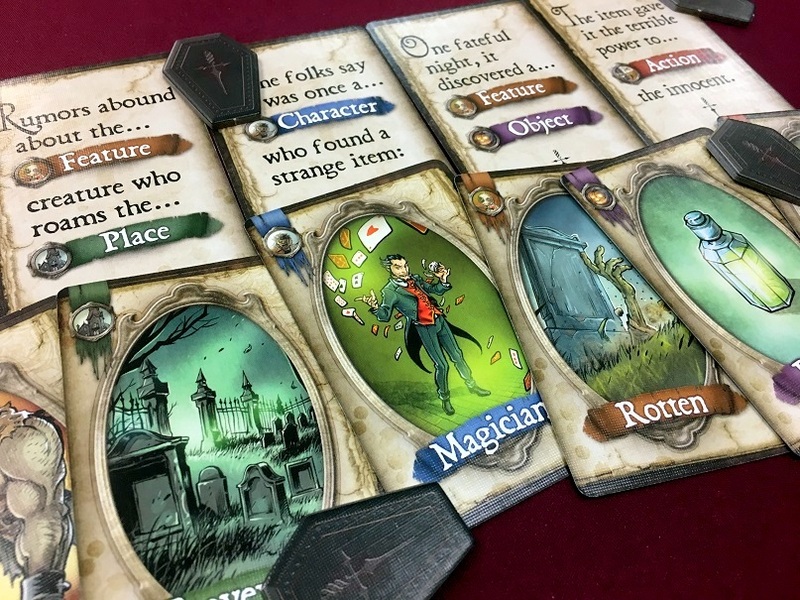 Scary Tales is a game that plays like Apples to Apples or Cards Against Humanity, but with a story developing over each turn. There are two stories containing fifteen cards that you can choose from. Each card has missing information (either character, place, feature, object, or action) on it that players are supposed to provide. At the beginning of each turn, the narrator draws one of the story cards. 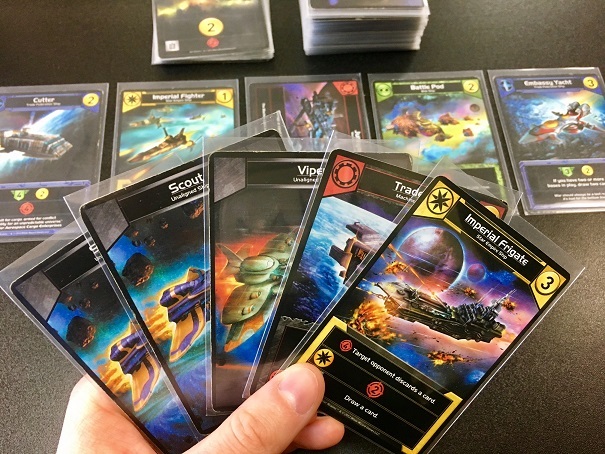 All other players have to choose one of their cards to turn in to the narrator who then chooses which card he likes best and the person who played that card gains a token. The narrator position then passes to the next player and the game continues until the story is complete. The player with the most points on their tokens is the winner. These are just a few games that are perfect for Halloween, but they’re some of our favorites. What are some of your favorite Halloween games? There are a lot of great games coming out in the next few months, but here are some of the games we are most excited for! 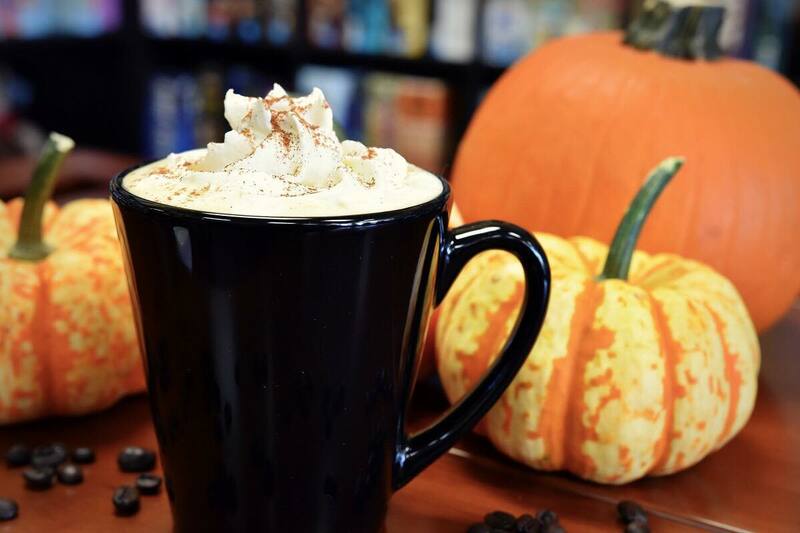 Here at The Game Table Café, we love Clank! so it only stands to reason that we’ll love Clank! In! Space! as well. We’ve only had Clank! in our library for a few months, but it’s already seen so much play that the board is falling apart. Clank! In! Space! 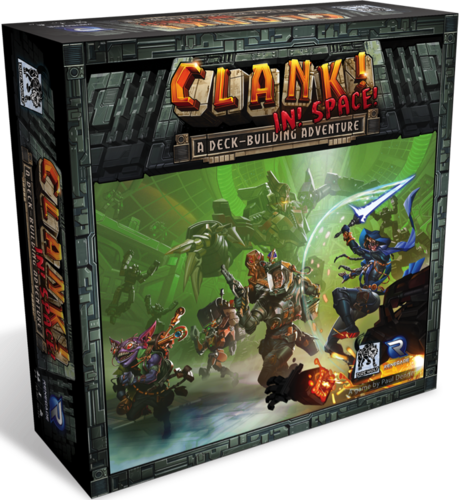 takes the action of Clank! and moves it from a dungeon guarded by an angry dragon to the depths of space. You’ll be playing as thieves stealing treasure from the ship of the evil Lord Eradikus. Every treasure you take makes Lord Eradikus angrier and every careless noise you make paints a bigger target on your back so grab your treasure and race to the escape pods to make it out alive. 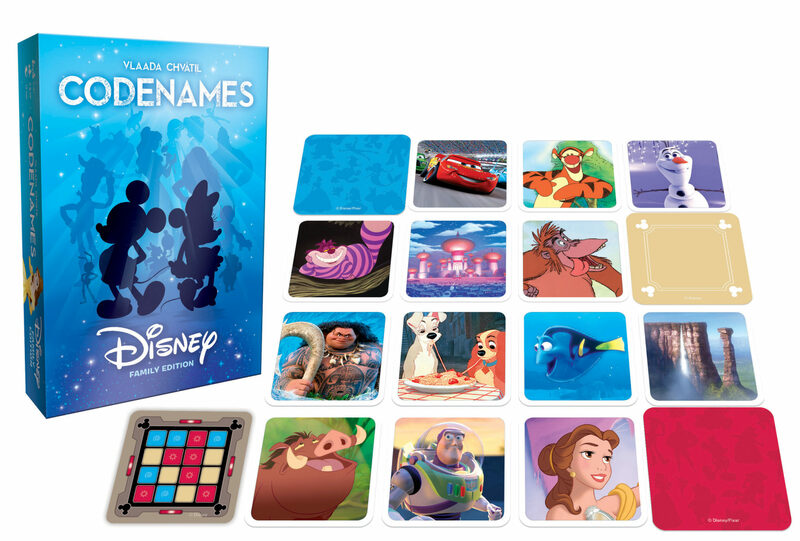 Disney has produced some of the most beloved characters of all time (and a lot of my favorites) and Codenames won the Spiel des Jahres award in 2016 and is considered one of the best party games of all time. Of course, I’m excited for this mash-up of two great things Disney Codenames. I’m slightly peeved that this is being considered the “family edition” and therefore seems to be “easier” with a 4×4 grid and no assassin. However, I’m sure with a bit of experimentation, you could adapt the 5×5 grid cards from the original game to the Disney version, which is definitely something I plan to try. 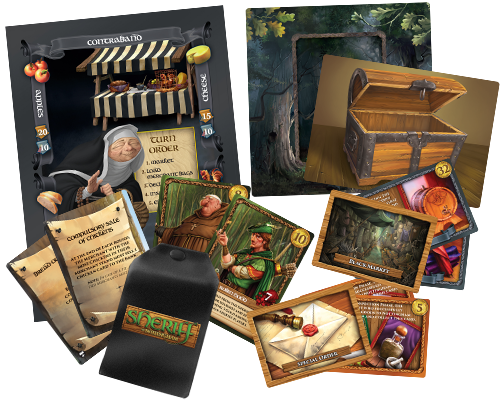 Merry Men is the first expansion for Sheriff of Nottingham, a game of bluffing and smuggling. 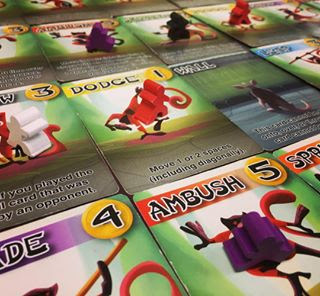 In addition to the possibility of playing with a sixth player, Merry Men also will add five new modules to the base game. To me the most interesting of these is the option to play with two deputies instead of one sheriff. Instead of smuggling your goods past one person, you have to convince two people that you’re goods are legal. The other modules include laws that remain in play for the round and new ways to earn bonuses. I’m excited to try this out with my family who all had fun with the base game the last time we played it. Betrayal at Baldur’s Gate is a game that a few of our gurus are excited for and, while I personally may not be all that interested in Dungeons and Dragons, I am interested in more content from Avalon Hill, the makers of one of my all-time favorite board games, Betrayal at House on the Hill. Betrayal at Baldur’s Gate takes all of the fun of Betrayal at House on the Hill, but moves the action from a mysterious haunted house to the city of Baldur’s Gate. You’ll play as a party of adventurers exploring the city until one of you turns traitor and unleashes a horrible evil upon the rest of the party. 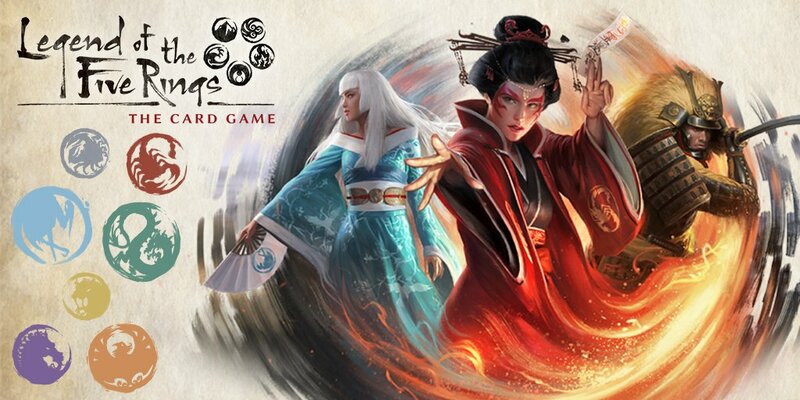 The Legend of the Five Rings is a game based on the original collectible card game, but re-imagined as a living card game with new mechanics and stories. The Legend of the Five Rings is set in the world of Rokugan. There are seven clans in the land of Rokugan that serve the emperor; however, these clans do not live in harmony and are in constant conflict with each other. Players take on the role of the leader of one of these clans and build their decks around that clan to then fight against another player controlling another clan. The base set will come with everything you need to get started and, like other LCG’s, later expansions will help you supplement your deck with new cards. Another expansion, this time for Splendor! 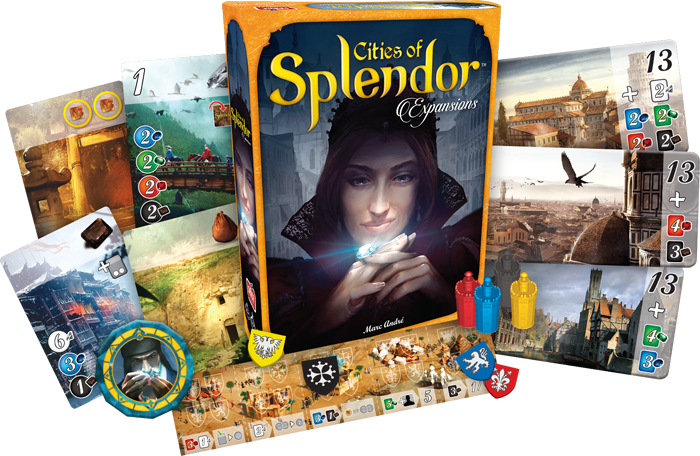 And better yet, Cities of Splendor is actually four different expansions in one box, however it seems that each expansion is meant to be played separately. The four expansions are Cities, Tradings Posts, Orient, and Strongholds. Each of these adds something new and different to the game and expands the replayability of the base game. Catan set in the world of Game of Thrones sounds great and I for one am very interested in this game! The premise this version of Catan is that the Night’s Watch is looking for a new leader and players are competing for that role. You are tasked with improving the infrastructure of the Gift and defending the Wall from Wildlings trying to fight their way into Westeros (so is this before Jon Snow befriends them?). The player that does all of this best will become the new Lord Commander. This one isn’t going to be out until next year, but one of our past gurus mentioned it when I asked so it’s on here as an honorary mention. 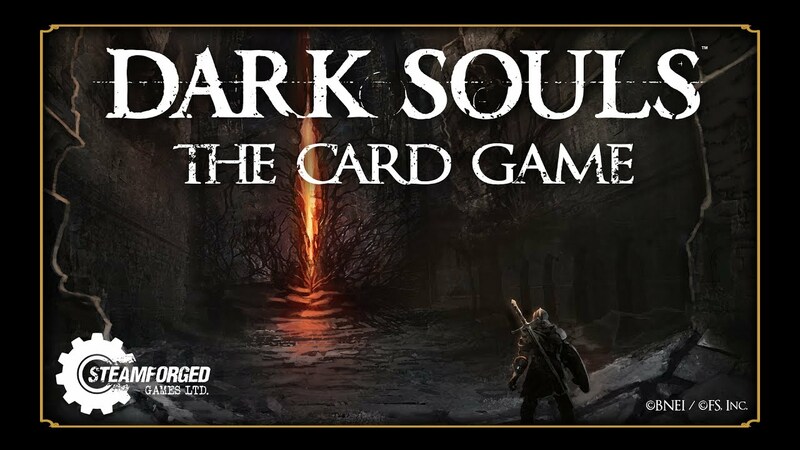 Based on the video game, Dark Souls: The Card Game is a cooperative game in which players must adapt their decks to better fight enemies and gain treasure.